The park is famous for its lush lawn and stately London plane trees, but we also take great pride in our gardens. There are about 30,000 square feet of planting beds in the park. And that's not even counting the vast ivy beds, numerous hanging baskets, and floral planters dotted about the park. 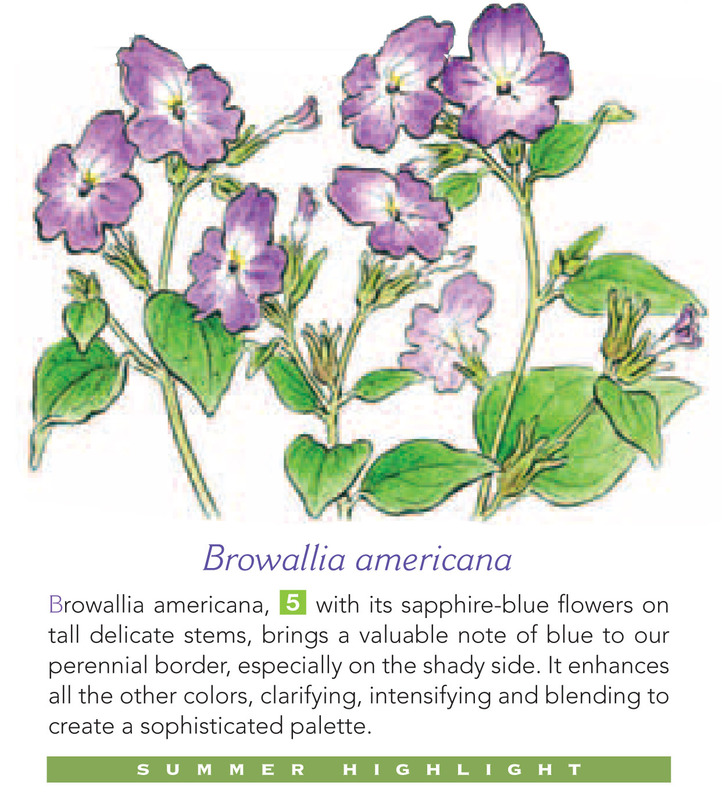 To keep park visitors informed, we publish a Garden Notes Brochure three times each year. Our horticulture team changes the garden design more than you might imagine, and each brochure features a new seasonal focus and botanical illustration. The Summer 2011 edition can be found in the park's brochure racks now, or you can view and download a pdf on our website. As the 'Green Matters' section of Garden Notes explains, green spaces and flowers, like those found in Bryant Park, are important to the health of an area. Besides the obvious beauty that flowers add to the park, studies have shown that gardens have a direct impact on the safety and value of a neighborhood. Some studies even suggest that gardens positively impact human stress levels and self esteem. 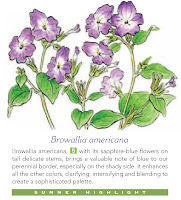 Pick up Garden Notes to read more about this season's collection of geraniums, begonias, and Browallia americana, or to learn something about the positive influence of flowers on the Midtown area and its residents.